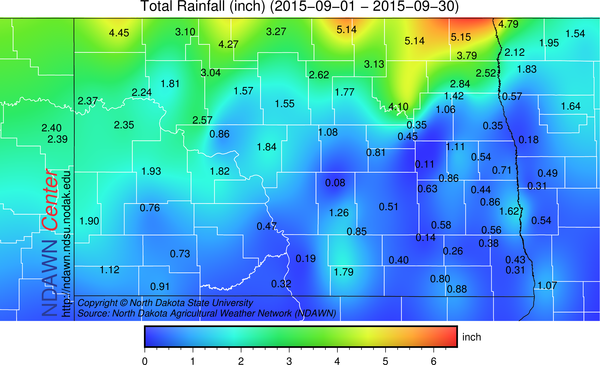 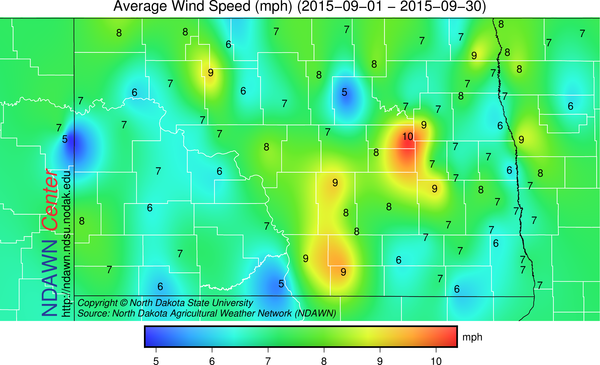 September 2015 finished with above average temperatures statewide and variable rain totals. 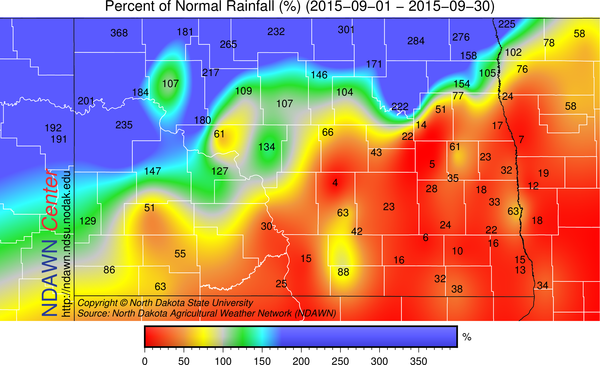 Precipitation as a general rule was above average across the northern portion of the state and below average across the south. 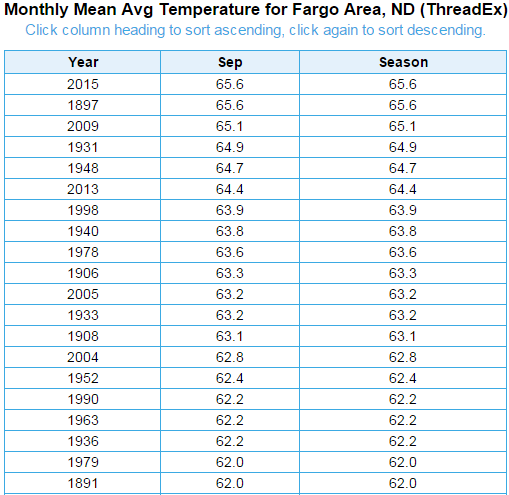 Fargo, when using data from KFAR (Hector Int’l Airport), tied 1897 as the warmest September on record (since 1881) with an average temperature of 65.6 degrees. 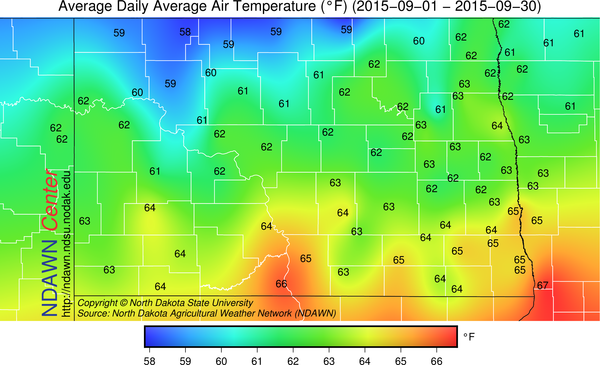 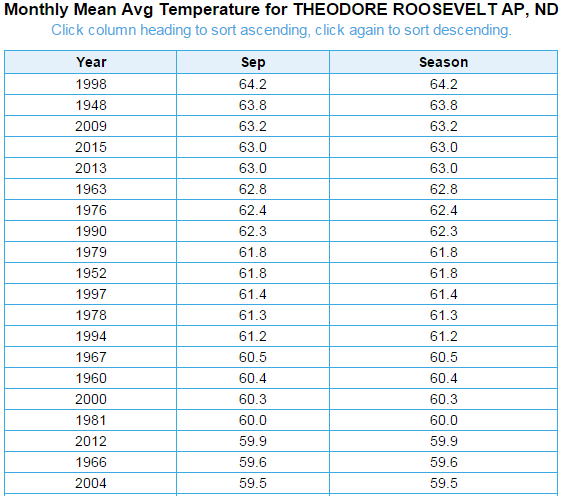 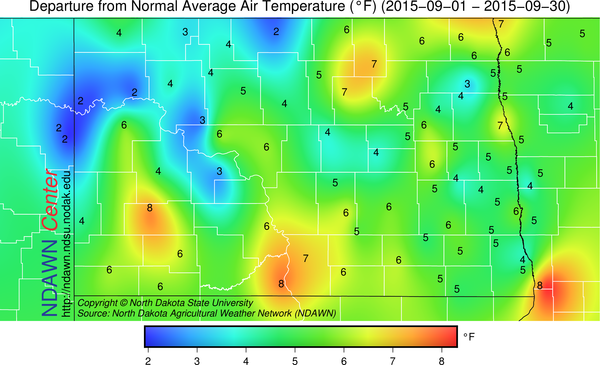 The North Dakota Agricultural Weather Network (NDAWN) station near the airport, but sited better (no pavement right next to sensor or rocks underneath it) had an average temperature of 65.0 degrees for the month. 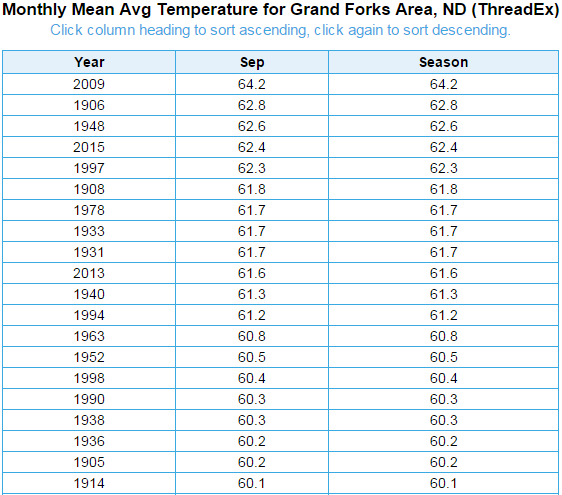 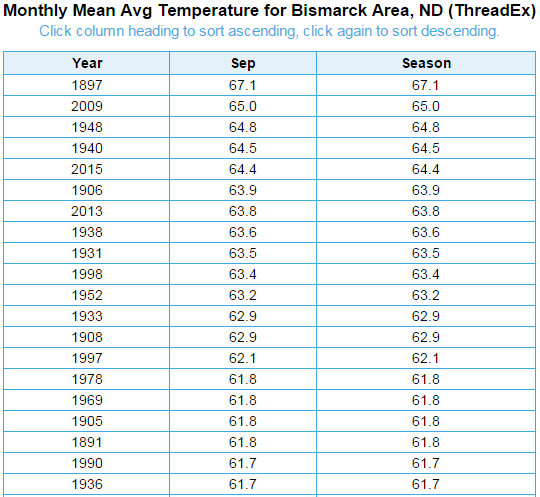 Other notable stations in the state, recorded a Top 10 warmest September including Grand Forks (UND) with the 4th warmest and Bismarck the 5th warmest. 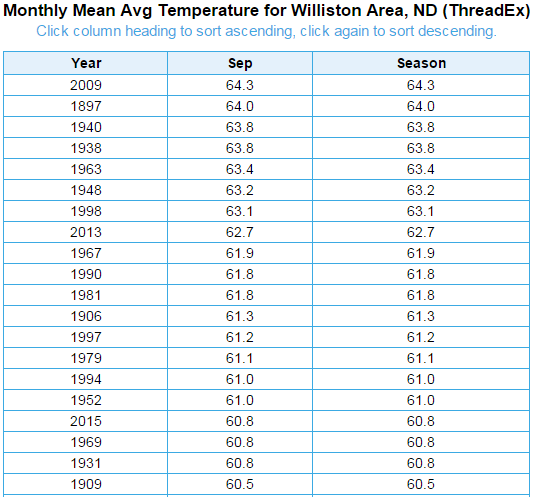 Dickinson Airport recorded the 4th warmest, but records there only date back to 1948 and Williston recorded the 17th warmest September on record.